NOTICE: THERE ARE MANY FACTORS SUCH AS EVENT LOCATION, TYPE OF EVENT, NUMBER OF HOURS OF SERVICE NEEDED...SO PRICING IS FAIRLY SPECIFIC FOR EVERY EVENT. STAIRS, UNUSUALLY REMOTE LOCATIONS, ETC. MAY ALSO AFFECT THE FINAL PRICE FOR YOUR EVENT, PLEASE CONTACT US FOR AN ACCURATE QUOTE BASED ON YOUR SPECIFIC EVENT REQUIREMENTS. (Includes basic light show-4 to 6 various effects). Various factors such at travel disctance, venue requirements, etc. affect pricing for wedding receptions, please contact me to have a custom package created to fit the exact needs and vision for your perfect day. 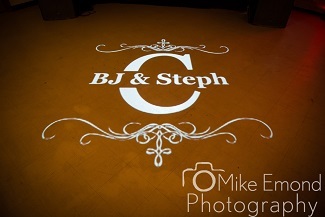 (Wedding Packages typically inclide deluxe light show-8 to 10 various & different effects, uplighting, & lighted Monogram). Beyond the 20 mile radius - Varies, quote will be made based on the additional travel distance required. Additional Amplifiers & Speakers for large Venues. Additional Amplifiers & Speakers for X-tra large Venues. 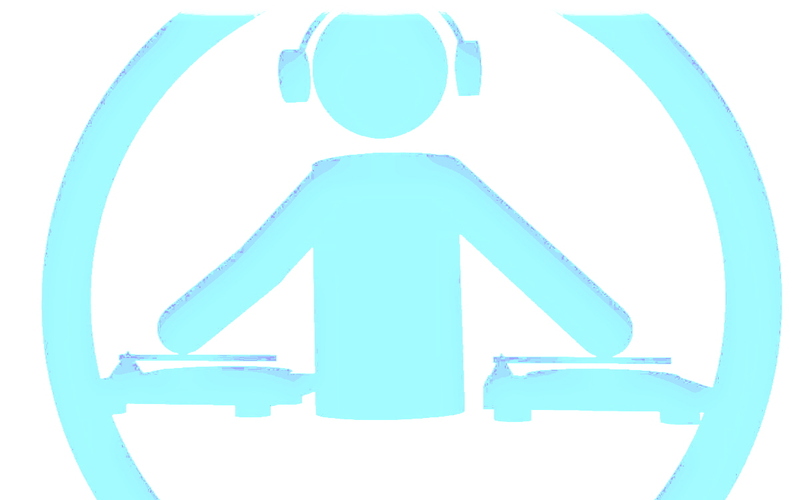 $100 (Wireless mics, CD player or Ipod for ceremony music or background music for singers, 1 speaker. Cocktail Hour music in main reception space is included in the wedding reception price. 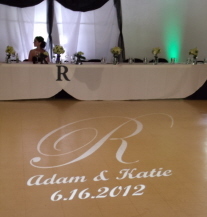 (Unlimited options for image/monogram projection). Photos taken @ wedding receptions in 2008, 2010, 2012, 2013. 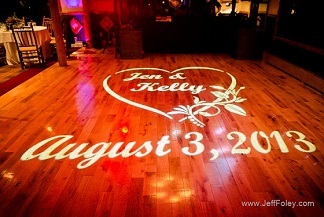 $35/each gobo (Stock gobo shapes from various companies... I.E. 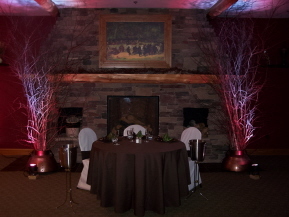 Snowflakes on the ceiling for winter wedding; haunted house, skulls, or witches for your halloween party). 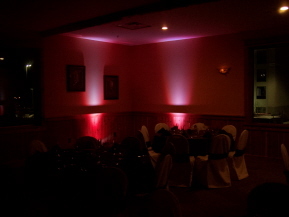 I currently have 24 fixtures that can be used for wall uplighting or undertable "glow" effect. Uplighting photos taken @ wedding reception in 2011. 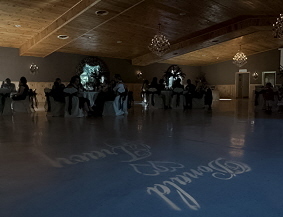 Undertable lighting photo taken @ private party in 2011. Costs Vary based on desired party favors. Ask about packages based on your event theme/budget. $100 for 5 Copies (Up to 100 photos w/ music). $50 for us to supply projector & screen for on-site presentation of your slideshow presentation.